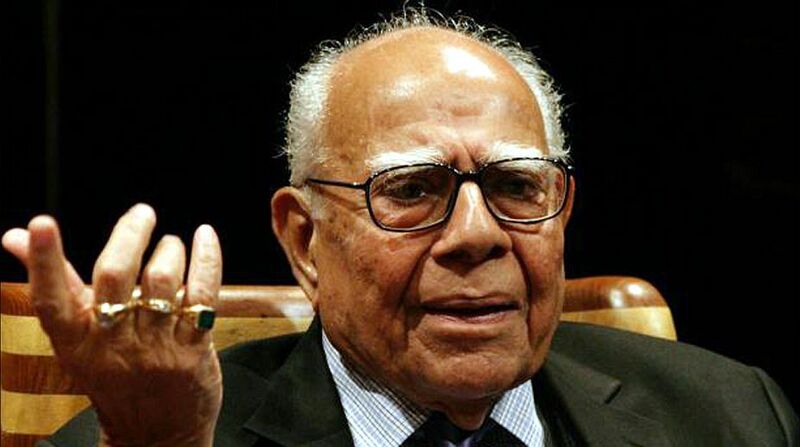 Former Law Minister and senior lawyer Ram Jethmalani on Monday called for formation of a third front led by West Bengal Chief Minister Mamata Banerjee to “oust Prime Minister Narendra Modi” in the next Lok Sabha elections. “I want Mamata Banerjee to lead the third front to oust prime minister Narendra Modi in the next general elections. Mamata has the ability to be the prime minister,” said Jethmalani, a one-time Modi supporter who later became the prime minister’s bitter critic. While talking to media, Ram Jethmalani said, both Congress and BJP governments have been deliberately apathetic to recovery of black money stashed in “Germany and other countries”. “Therefore, a third front of honest leaders is needed,” the former Union Law Minister said. The senior lawyer said the NDA government has no right to stay in power. His statements comes a day after it was announced that Mamata Banerjee and Telangana CM K Chandrashekhar Rao are expected to discuss the possibility of forming a third front, sans BJP and Congress, in a meeting today (19 March) at 4pm. On 3 March, the Telangana chief minister had floated the idea of a third front, adding that he was already in talks with other “like-minded” parties to bring about “qualitative changes” in governance. “In the last 70 years, the political system, whether ruled by Congress or BJP, has failed miserably to bring a qualitative change in the lives of the people. We are talking of tackling corruption and ensuring social justice. Every day, there are reports of Dalits being killed. The BJP is in power in some of the states where they (Dalits) are getting killed,’’ Rao had said, according to media reports. On 4 March, Mamata Banerjee had spoken to Rao over phone and conveyed her complete support on his statement that he was keen to participate in national politics to bring about “qualitative changes” in governance. Alleging that successive governments ruled by both the Congress and BJP at the Centre have miserably failed to ensure development of the country, Rao had earlier said he will talk with all like-minded parties and leaders for creating an agenda for the country’s growth.